I want to thank the Japanese reflector lovers club for inviting us to their booth! It was an amazing experience! Working on new free software.. This time no digital mode but analog over internet. So make a QSO with an analog radio via the DVAP ( Red Dongle ). Fun experiment. I converted DSTAR/DMR to the ThumbDV and forwarded it to a DVAP. The DVAP is transmitting/receiving in Analog! Last 3 days I was working on BlueDV WEB. My first web application. I used a ThumbDV for transcoding the DSTAR and DMR stream to web. This version is not for download! 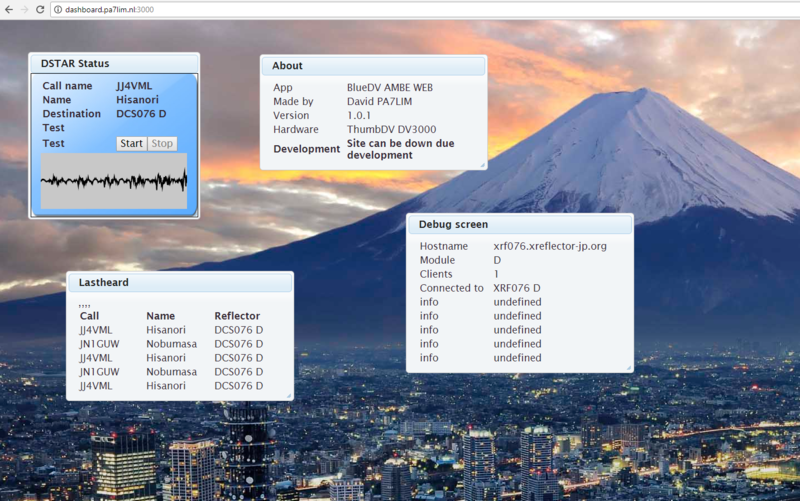 The web app is linked to the reflector XLX076 D and DMR plus reflector. Yesterday I received a Inrico T320 for test. This one is much better then the R77 I have. Did some experiments with the ThumbDV or AMBE3000 and an analog radio. Very funny to experiment with. Sound is pretty good if you stay in range. I used a DRA818, but it is better to use the DATA port of a radio like Yaesu or ICOM. The DRA818 is a very cheap radio so do not expect high quality sound. 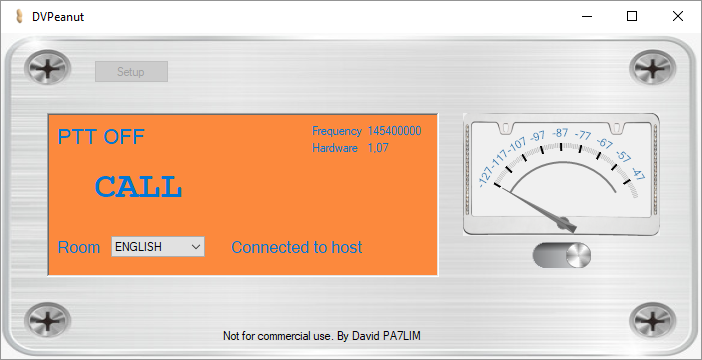 Experimenting with the F22 Plus voip wifi radio. Well… The device gives a lot of white noise.. Nope other radio’s do better than this one. 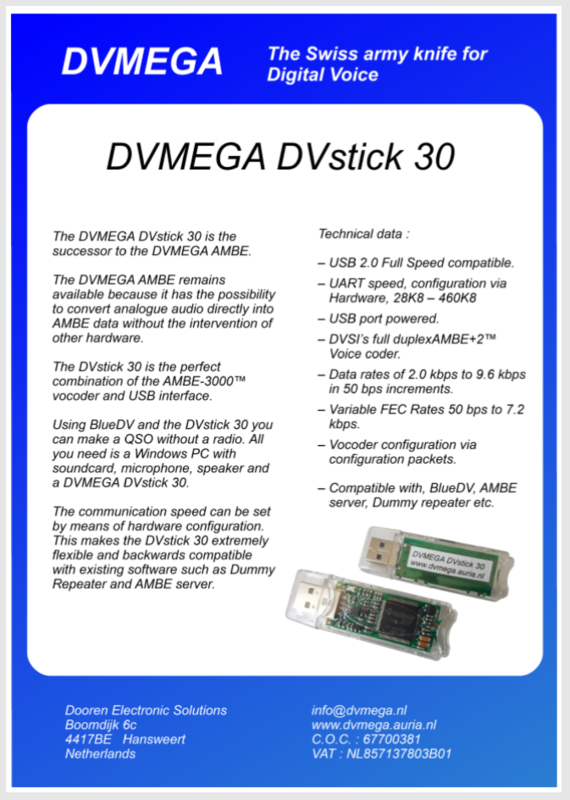 This version of BlueDV AMBE is not available yet. The 6 channel USB AMBE transcoder Kickstarter has started! The 6 channel AMBE transcoder is an ideal solution for the transcoding between DMR, DSTAR and Fusion. It transcodes DSTAR to DMR, DMR to DSTAR, DSTAR to Fusion, Fusion to DMR… etc.. 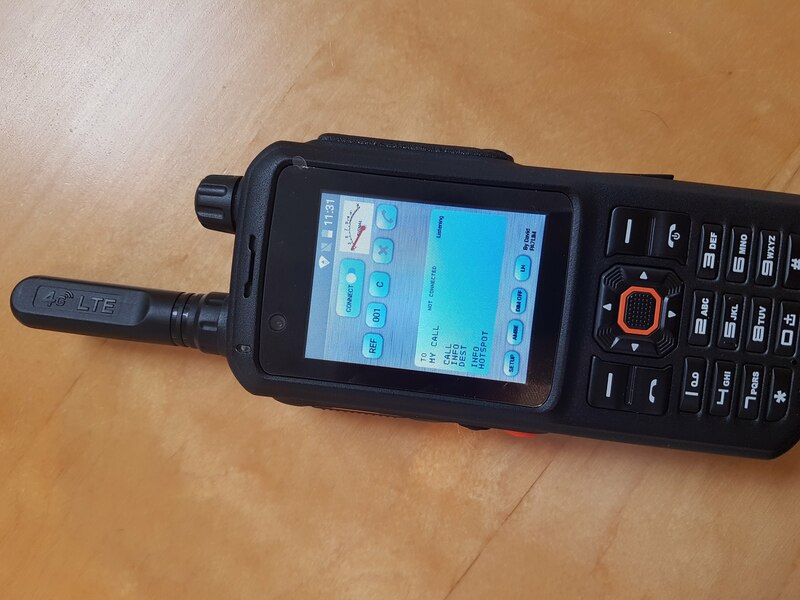 So when you are talking on DSTAR you can talk with people on DMR or Fusion on the same reflector. The 6 channel AMBE transcoder converts the voice between the modes. Where can I use it for? The XLX reflector software already supports the AMBE transcoding. You only need an AMBE transcoder to convert between the digital modes. The AMBE transcoder has to be connected to the XLX reflector. You only need one AMBE transcoder per XLX reflector. Please inform your XLX admin of this Kickstarter project. Or you can help to support the project. Take a look at the Kickstarter here. 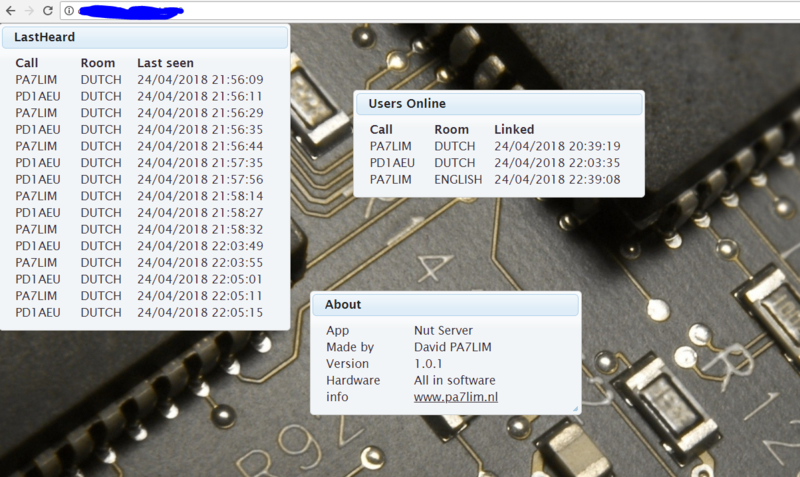 See this amazing Dutch HAM project! !